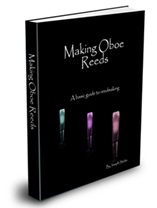 You are here: Home / Oboe News / Have a Concert? Please let me know about your concerti, (class) recitals, masterclasses, accomplishments (auditions, teaching appointments,etc) major orchestral works(Tombeau, Tchaik 4, etc. ), movie appearances!, etc. I am especially interested in internet streaming (video and audio,) whether it is your recital or something you are doing with an orchestra. I prefer 1-2 months advance notice. I will post your info promptly on IDRS BB after receipt. (If you send it more that one-two months ahead of time, I will still post it upon receipt.) If you are mentioned in a news article, please let me know about that as well. Whether you are playing with your community band or the New York Philharmonic, I am interested in what you are doing! If you are outside the USA, I am particularly interested in what you are doing. PS…If you want your activities published in the IDRS Journal, you will need to send this information to Dan Stolper. You may also post any recital info yourself on the IDRS BB. Actually if you post it yourself, more people will look at it so I highly encourage you doing it yourself!